Nitrazepam is a pharmaceutical medication that is commonly used and abused for its potent sedative properties. As with most drugs, prescribed, legal or illegal – misuse can lead to a devastating Nitrazepam addiction. Addiction can affect anyone, regardless of age, gender, race, religion, education or social standing. When an abuse problem turns into an addiction, the power of choice is lost. A compulsion that is beyond our own mental control, takes over every aspect of our life. If you or a family member have an abuse problem with Nitrazepam, you may need assistance to prevent the possible negative consequences it may have on your or their health. Nitrazepam is a long-acting hypnotic medication with a strong sedative; it is a type of benzodiazepine. It also produces calming and muscle-relaxing effects and is commonly sold and dispensed under the brand names Alodorm, Mogadon and Somnite (amongst others). This medication is only legally available on prescription, but this does not stop the drug from being sold without prescription over the internet or through dealers on the streets. Nitrazepam is available in an oral suspension and also compressed tablet form. Its appearance can vary depending on whether it is obtained legally through prescription or via another source. The general prescription dosage will depend on the patient, what it is being prescribed for, their age, health, and any possible interactions that could increase its potency. For example, if the patient is already taking another sedative medication or an opiate-based painkiller extra caution should be exercised. Nitrazepam comes in 2.5mg, 5mg and 10mg doses and its effects can last anything from 15 to 38 hours. For this reason, it only usually prescribed where sleepiness the next day does not present a problem and only on a short-term basis. Nitrazepam dependency can develop very quickly, as it can with all benzodiazepines, the body quickly adjusts to a dosage. It is therefore recommended that you don’t take it for longer than 7 to 10 days maximum. It is important to never mix Nitrazepam with alcohol or other drugs, especially other sedatives or opiates. This can result in a life-threatening reaction and blackouts. It is strongly recommended that you do not stop taking this medication suddenly and that you consult a medical professional first if you wish to stop or reduce. Why Do Doctors Prescribe It? 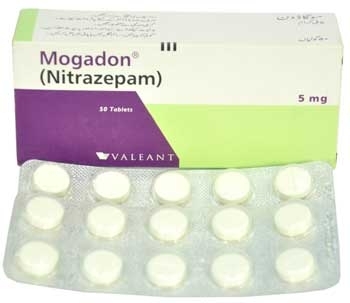 Nitrazepam is mainly prescribed to treat short-term severe sleep disorders, and only for a maximum of 7 to 10 days. As a benzodiazepine, tolerance and dependence can develop very rapidly. If it is taken any longer than this period of time, a weaning off process is likely to be required. Occasionally, this medication is prescribed for the short-term relief of disabling anxiety, but due to its sedative potency, it is not usually the first choice of medication. 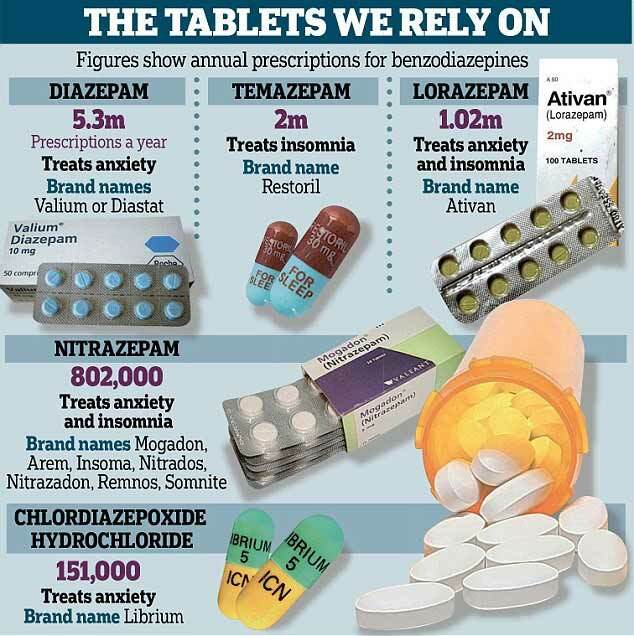 As one of the strongest benzodiazepines available, doctors are usually very careful about prescribing it for anxiety, unless the patient is in a hospital environment where they are less likely to accidentally hurt themselves whilst under its influence. Special precautions should be taken when prescribing this medication for elderly patients or those that need to drive or operate machinery the next day. 5mg is enough to affect the individual’s function and cognitive ability for the following 15 to 38 hours after administration. In elderly patients, the drug can stay in their system for up to 60 hours. The reality is, that although this medication should only be used on a very short-term basis and only in exceptional cases of severe and disabling insomnia and anxiety, there are many that are on a long-term prescription or who are purchasing it from the internet or a street dealer. Depending on which country or manufacturers the drug has come from will affect the appearance of the packaging and the stamp on the tablet. In the UK, the most common brands that are prescribed, are easy to identify. If you are getting Nitrazepam on prescription from your local GP, you are guaranteed to be dispensed the real thing from your pharmacy. Purchasing from street dealers or from the internet, there is no guarantee of the quality of the product or if it is actually Nitrazepam. Sourcing controlled medications from any source other than your doctor is highly risky and illegal. Genuine Nitrazepam tablets, in appearance, are white, round and flat, with a break score through the middle. The dosage and registered trademark are usually stamped on the back. They will come in blister strips in a box with a registered trade name and the dosage printed on it in mg. A detailed information leaflet will be inside the box for you to read. The dosage and who they are prescribed for will be detailed on the box. Counterfeit Nitrazepam as a product will have no registered trademark. You should not take any medication, without knowing for sure what its formulation is. Even then, only if it is prescribed for you. Taking medication that is not prescribed for you, or is potentially not the genuine product, is extremely risky and dangerous to your health. Yes, Nitrazepam is extremely addictive, both physically and psychologically. If you have suffered from an alcohol or drug problem before, exceptional care should be taken, and ideally, the medication avoided altogether. Even with no previous history of any addiction, you can develop a tolerance and dependency very quickly. Once you have developed a tolerance to a dosage of Nitrazepam, you will find that you will need to take more of the medication in order to gain the desired effect. Taking any less than the amount, your body and brain have become accustomed to, will very possibly send you into withdrawal. If you are concerned that you or a family member have an addiction to Nitrazepam, please consult your doctor or an addiction help hotline without further delay. How to Help a Family Member Abusing Nitrazepam? If you are worried that a loved one may be abusing a medication and have probably found pills that have no prescription details on them, it is wise to take a sample to a local pharmacy to see if they are able to identify what the tablet is. However, generic and counterfeit Nitrazepam is not easy to identify, even by a trained pharmacist. But they will be able to tell you if it is a recognised medication that is legally prescribed. From there, you can compare your loved one’s actual needed treatments with the found tablet and seek help is they do not coincide. Approach your loved one with caution and tact. If your family member does have a problem with Nitrazepam and is not yet ready to admit it or accept help, they are likely to be defensive, dismissive or even aggressive. Their ultimate fear of admitting they have a problem will be the withdrawal symptoms and how they will cope without the drug. If your loved one is not ready to stop, there is little you can do. One option is to ensure that you are not enabling their addiction in any way. Enabling will only stop them from seeking help. We suggest that, before you speak to a family member or a loved one with a potential addiction, you fully educate yourself on the facts of Nitrazepam and the sources of help and support that are available. Reassure them, that if they do decide that they want to stop, that you can help them access the correct help and treatment. Detoxing need not be painful or terrifying. This way, you have left the door open for them to approach you when they are ready. Whether or not your loved one is ready to accept help for an addiction, it is important to look after yourself and not get caught up in any lies, deceit and manipulation. We know it is easier said than done when you are worrying 24/7 about someone you love. However, there are addiction help services available for you and your loved one. If you are at affected by someone else’s drug abuse or addiction, you should seek help and support for yourself too. You keep finding empty boxes or blister strips of Nitrazepam that they have not told you about. They are generally behaving secretively. They are sleeping for very long periods of time, are drowsy, unmotivated and forgetful when awake. You find counterfeit pills with no markings on, in unrelated boxes or clear plastic bags. You have seen them browse websites selling medications which don’t look authorised to do this. They rush to get the post before you do or are dismissive and defensive when you ask what is in packages that are frequently delivered. They have become unusually unreliable, missing appointments, not going to work, missing family and social occasions. They have become withdrawn and prefer to isolate. You suspect they may be drinking or taking other pills or drugs on top of Nitrazepam and are often incoherent, droopy-eyed and unbalanced during the day. They have become unusually accident-prone. Their speech is slurred and slow as if they are drunk but there is no evidence of alcohol. They can’t recall conversations or events that you have witnessed. They have lost interest in their hygiene appearance and perhaps even food. They are generally behaving oddly and out of character. They may go for long periods of not answering their phone or messages without obvious reason. They have asked to borrow money from you more and more, and not paid it back. If you don’t give them money when they ask, they may react irrationally, becoming tearful, angry, pleading, aggressive or even violent. They may give you the cold shoulder, and try different tactics to make you give in and give them money to fund their habit. Other family members, work colleagues or close friends have also noticed a change in your loved one’s behaviour. You have reason to believe they are sourcing prescriptions from different doctors so they can take more than the necessary for their treatment. 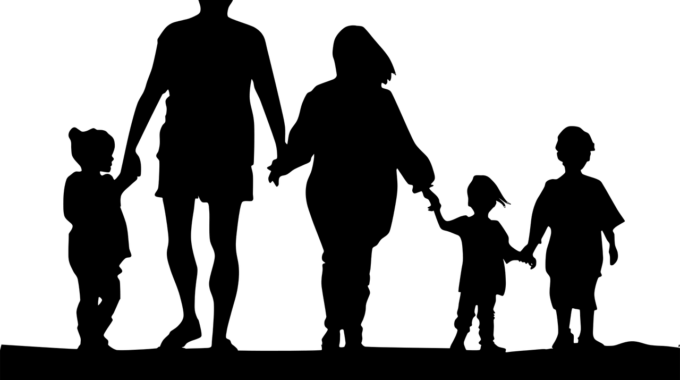 Not all of these signs indicate an addiction problem on their own; the key is the length of time that the marked change in behaviour goes on for. Should they become progressively worse in their mental and physical state, or display uncharacteristic behaviours for more than a few weeks, then you have every reason to be concerned. Early intervention is better than ignoring a problem hoping that it will go away. If they are suffering from addiction, it will become progressively worse, as tolerance builds and they become more reckless and entrenched in their addictive behaviour. We understand the devastating impact addiction of a loved one has on everyone’s life. Loving someone who is addicted to any drug or behaviour is very, very painful: the nonstop fear and worry if they are safe and alive, the resentment and anger at being continually lied to and manipulated can be very wearing. You learn to live on edge all the time, waiting for the call to come, or knock at the door saying that they are no longer alive. Eventually, as their addiction progresses, you will become more and more emotionally affected by their actions. You may well have forgotten what peace of mind feels like and feel very alone in your own pain and suffering. If you are or have been affected by someone else’s addiction, there are various sources of help and support for you to access, both privately and through the free services. By learning how to put your own needs first, you will learn how to not inadvertently enable your loved one’s addiction, and keep yourself safe at the same time. Free support groups such as Adfam and Families Anonymous are very helpful and supportive. If your loved one or family member is in a rehab programme, it is likely that you will also be offered a family recovery programme or family support. We encourage you to take full advantage of any support available so that you too can learn how to become free to live your own life once again. The internet is a haven for those with a prescription drug addiction or an abuse problem. Controlled medications are sold without question and packaging is discrete. With a click of a button, they are all too easy and tempting to purchase. Purchasing Nitrazepam on the internet is very dangerous, with no questions being asked and no assessment from a qualified medical professional. Special offers and bulk discounts further encourage more purchases and returning to their stores. Advertisements freely disregard safety, encouraging a solution to sleepless nights through the use of controlled medication without an actual doctor’s prescription. If you are purchasing Nitrazepam from the internet, you could be buying medication that is not suitable for your condition or mental and physical health. There is also the added danger that the Nitrazepam could interact with other medications or drugs that you are already taking; something only a doctor would consider very carefully before prescribing. By ordering and using Nitrazepam tablets from the internet, you are effectively self-diagnosing and medicating. Even if you have previously been prescribed Nitrazepam and are aware of the dangers, this does not mean that it is safe for you to buy and take it outside of the prescribed dosages. There will be a reason you are not approaching your doctor, and that reason will be fear of not being prescribed the medication that you want. Furthermore, not all medications sold online are the real thing, many are counterfeit and most are generic, imported and unregulated. This only adds to the dangers and implications of taking medication that is not prescribed for you. Even if they do detail precautions and dispense an information leaflet, only a qualified doctor should determine if this potent medication is a suitable solution to the condition you’re suffering from, and the correct dosage. If you are experiencing problems with insomnia and/or anxiety, we urge you to speak to your GP and not turn to the internet to self-medicate the problem. There are numerous less-dangerous ways of tackling anxiety and repeated bouts of insomnia, including talking therapies and sleep hygiene practices. These holistic approaches are proven to be the most effective treatments in the long term. There is also the option of less powerful and non-addictive medications or alternative medicine. However, unless you consult your GP, you are unlikely to know the correct method of treatment or how to access it. Medication is not always necessary for a good night’s sleep or to tackle anxiety. It is important to look at the causes and have them treated effectively. Many physicians will give advice on sleep hygiene and can refer you to anxiety groups or counselling. It is a good idea to try these non-invasive interventions before resorting to medication that could potentially lead to a destructive and life-threatening addiction. 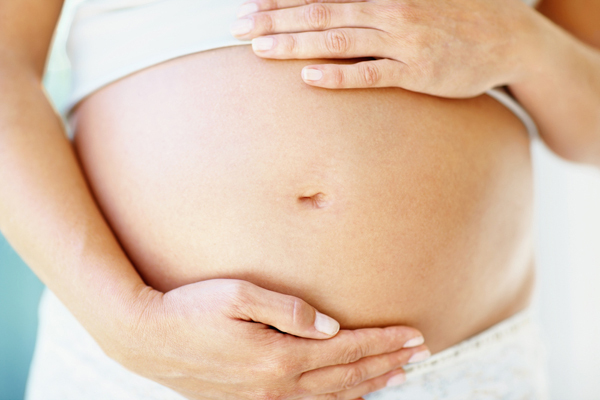 Is It Safe to Take Nitrazepam during Pregnancy? It is vital that you consult your Doctor before taking this medication whilst pregnant, as Nitrazepam could affect an unborn baby’s growth and cause birth defects. Please be aware that if you abuse this medication during pregnancy that there is a high risk of your baby’s development is adversely affected. If you are already addicted to the drug and are pregnant, please see your GP or tell your midwife without further delay. Another option is to admit to a private rehab facility for treatment, but only certain rehabs will take pregnant women due to the risk factors involved. Please contact us for more information if this is something you are interested in so that we can help. Withdrawal from this particular benzodiazepine can be extremely uncomfortable and even life-threatening if a dependence has developed and professional help is not sought first. If you have been taken Nitrazepam for a prolonged period of time and/or in higher than the recommended dose, the safest and most comfortable way to withdraw will be under the medical supervision of a residential detox clinic. Nitrazepam has similar withdrawal symptoms to other benzodiazepine medications, and therefore must be very carefully managed. The higher your dependency and the longer you have been taking the drug, the more severe the withdrawal symptoms will be. However, medically this can be managed so that you can detox with the least risk possible to your physical and mental health. Rebound insomnia, fast heart or erratic heartbeat, high blood pressure, excess sweating, headaches, nausea, vomiting, diarrhoea, uncontrollable shaking, extreme muscle aches, spasms and pains, extreme fatigue, restlessness and inability to sit still, a need to keep moving, weight loss, intense cravings for Nitrazepam, impaired cognitive ability, unable to fall or stay asleep, respiratory problems and seizures (which are both life-threatening). Stopping Nitrazepam suddenly or too quickly when you have an addiction is extremely dangerous, and likely to bring on all of these withdrawal symptoms and put your life at great risk. If you are thinking of stopping, it is vital that you seek medical advice first. A medically managed detox will stop the more dangerous withdrawal symptoms from developing and greatly lessen the severity of others, making it not only more comfortable and safe but also much easier to complete. ‘The first time I was given Nitrazepam was during a respite stay in the hospital, for a postnatal mental health breakdown after having my second child. I remember it knocked me straight out and I slept for solid ten hours; the first decent sleep I had had in months! The fact I was groggy and uncoordinated the next day didn’t bother me, as for the first time in ages I didn’t feel anxious either. My first thought was, “I need some more of that” and the second thought “How can I get it again?” I was prescribed it for the 7 days I stayed in respite care. By that time I had started to be able to function on it during the day and the groggy effects were wearing off more quickly. I wasn’t given a repeat prescription when discharged but managed to manipulate my doctor, saying I couldn’t sleep without it and was afraid I would lose my sanity. In many respects, I believed this to be true and that Nitrazepam was the answer to my prayers. This belief kicked off a five-year addiction involving a lot of fear, manipulation and deceit. The truth was, I did need it, and I was physically and psychologically addicted. As the original dosage lost its effect, I persuaded my doctor to increase it, when that stopped working I found a few alcoholic drinks on top increased the sedative effects and helped me to sleep. I began to drink more, enjoying the woozy effects of the two combined. Then I began buying additional tablets from the internet. I think once or twice my doctor suggested I weaned off of them, but it fell on deaf ears, at no point was the word addiction mentioned; maybe it was, but I certainly wasn’t ready to hear it. Perhaps my doctor felt my mental state was too fragile to push the issue; I really knew how to lay it on thick to get what I wanted. To be fair, my GP had no idea I was buying additional tablets on top or drinking in the evenings to excess, and I certainly wasn’t going to admit it. Underneath it all, I was terrified of losing a grip and felt so very alone. I wanted to stop but didn’t see how it was possible whilst looking after two young children. I began to become very isolated and depressed. For a number of years, I hid my fears and shame around being a bad mum until my hand was forced; I was out of control, taking tablets during the day, falling asleep and forgetting to collect the children from nursery. I had a number of falls whilst intoxicated with the tablets and drunk. I am ashamed to say, I always drove with the children in the car the next day. I thought I was okay, but looking back, I was far from it. Finally, after a week of obsessing how to take my own life and end the misery of my daily existence, I saw clarity and asked for help. It was hard telling my partner the truth, but he also seemed very relieved. For a long time, he had said I needed help but was always met with denial or anger. I had missed out on the most important developmental years of my children’s life, through existing in a self-absorbed and seductive fog that I now know was the Nitrazepam. Looking back, I had put my children’s and others lives at risk, with my driving and unpredictable behaviour. Most of the time I simply didn’t care. Sleep became my escape from reality and I was addicted to that as much as I was the pills. In the end, I became a shell, barely recognisable from my former self; my speech slurred, my eyes were soulless and every movement was in slow motion; it must have been like living with a zombie. I’m lucky my partner stood by me and helped with the children. Otherwise, I would have lost everything. Admitting my problem and asking for help was the best thing I could have done for myself and for my family. Soon after telling my partner, I was admitted to a detox and rehabilitation facility. Initially, I fought the idea, thinking how would they survive without me? The reality was, how they would survive with me? I was a danger to myself and to others and didn’t even trust myself anymore. I can’t even bear to think what would have happened had I not seen the light and asked for help. I still have counselling now, on a weekly basis, and had to go undergo a medical detox for the Nitrazepam and alcohol whilst in the residential clinic. I also received counselling and therapy and could see that it had become a self-medicating coping mechanism, as felt worthless as a mother and unable to cope. I’ve now learned healthier coping mechanisms that do not involve substances or medications and receive a lot of ongoing support for me and my family. I’m not afraid to ask for help today or admit when I’m struggling. I’m truly blessed with my family supported me through all of this. I can’t undo what is already done, but really wish I’d never touched it (Nitrazepam) in the first place. Therapy and the correct medication would have been a far more effective treatment for my postnatal depression and anxiety at the time. Today I’m working to become a better mum and make up for lost time; the mental fog is no longer there. I have much more energy to do things for myself, my partner and my children. It’s an ongoing process though, as when I’m stressed I can still euphorically recall its powerful effects; yet something deeper inside stops me. For some, what may start out as an innocent prescription in a time of crisis, can turn into the daily living hell of addiction. The pressures of today, have created an anxious and sleepless society; desperate to get a good night’s sleep, no matter what the cost. Medications are still being dispensed as the first port of call in most instances, rather than longer lasting and more effective holistic or therapeutic treatments. Every medication has a place and a purpose, Nitrazepam is no different, and when prescribed in the correct circumstances and environment, can provide much-needed respite and relief. There is no evidence to show that the prescribing of benzodiazepines (including Nitrazepam) is being reduced. Despite mounting evidence, proving that they can lead to short- and long-term medical and mental health problems. According to recent statistics, around 1.5 million Britons are currently taking prescription pills to aid sleep, at any one time. If you are taking benzodiazepines for longer than 6 months, you are at 80 percent more risk of developing Alzheimer’s disease. Benzodiazepine medication should not be taken for any longer than 3 months, due to the long-term health risks involved. People over 65 are most likely to be prescribed and kept on a long-term prescription. This age group are also the most vulnerable to accidents and memory problems. If you are physically addicted to Nitrazepam and want to stop, detoxing is a serious matter, especially with a long-standing heavy addiction, or if the medication is being mixed with others drugs or alcohol. The safest and most effective way to stop Nitrazepam is by admitting to a residential detox facility, where you will receive a full medical detox and be monitored by experienced and qualified professionals around the clock. This should then ideally be immediately followed or coincided with a full rehabilitation programme, in order to help prevent relapse. Other options that are free to access, are NHS services through your GP and/or local Drug and Alcohol team. There are also local self-help support groups and charities. Many find Smart Recovery and 12 Step meetings helpful and supportive. If inpatient detox is not a viable option for you, we strongly suggest accessing as many support services as possible. Can I Find Reliable Rehab for Nitrazepam Addiction in the UK? Yes, the UK has a stable, reliable network for addiction rehabilitation, regardless of the addiction in question – be it alcoholism, drug dependence or a behavioural one. Rehab centres are specifically set up to treat addictions and substance abuse problems comprehensively. By admitting yourself or a loved one in one, you guarantee a full medical detox and have the opportunity to deal with the root causes of addiction through a comprehensive and intensive, personalised rehabilitation programme. It is vital when looking for a rehab that you find one that is Care Quality Commission-regulated and registered, and that only employs staff who hold the relevant credentials to deliver the individualised treatments that you need. This will ensure that you receive the standard and levels of care required to keep you safe and comfortable whilst detoxing. It can be very difficult trying to select the one rehab clinic that is right for you. Naturally, you will want a rehab that offers the best chance of a long-term recovery. This can be a very stressful process, especially if you are in crisis and need a prompt admission. This is where referral services and advisors come to help. Contact an addiction helpline straight away to learn what are the best options for your situation. If you are looking for a treatment programme for a Nitrazepam addiction, the most comprehensive treatment is only available through addiction treatment centres and rehabs. A good rehab programme will be tailored to your or your loved one’s individual treatment needs, ensuring that no stone is left unturned and that treatment covers every aspect – body, mind and soul. This is necessary for long-term recovery to be achievable and maintained. Treatment programmes for Nitrazepam addiction should only include evidence-based addiction treatments; family involvement and aftercare are also very important aspects of a comprehensive rehabilitation package. Finding the right rehab and treatment programme can be confusing and stressful, this is where we can help. Nitrazepam addiction is a stressful and dangerous condition. Hiding your feelings, emotions, the fear of uncovering your secret to the outside world – this is just a part, but a very important part of addiction. This is where a good, tailored treatment plan will help with other benefits. Can you acknowledge the need to overcome an addiction to Nitrazepam? We can help you find the ideal rehab clinic for your problem. Is it a family-friendly rehab you need or a clinic found close by? You can discuss the necessary details with a trustworthy, devoted addiction expert on our helpline. We at Addiction Helper work with over 100 Care Quality Commissioned rehab centres, in the UK and overseas. You and your family can feel safe and cared for regardless of co-occurring illnesses and dual diagnoses. 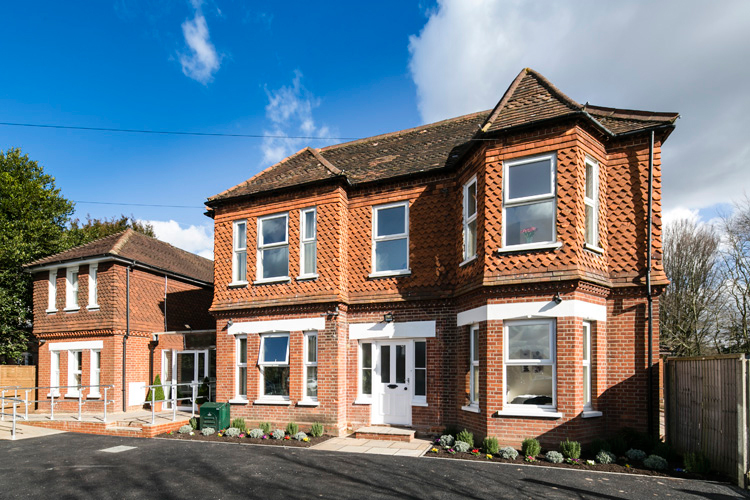 Uk’s most reliable and successful rehabs, ranging from affordable to luxury rehab, with short stay and long-term programme options, are at your disposal. We will take the stress out of your situation, by expertly assessing your condition in full and matching the perfect rehab package to your specific needs. Same-day admissions are available if you need it. Our expert assistants can take care of all of the arrangements, even sober transport where needed. You are guaranteed a professional and compassionate service. All of our staff have had their lives touched by addiction, and are extremely passionate about helping others to get the best lifesaving treatment available.